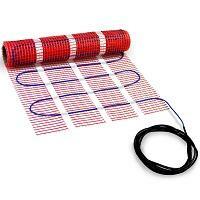 Bring warmth to your natural stone or ceramic tile floor with HeatTech electric floor heat mats. Available in a wide range of sizes, HeatTech mats are suitable for rooms as small as 10 sqft and as large as 1,500 sqft (for 120V systems). HeatTech mat system outputs as much as 12W per sqft of floor and is suitable both for new construction and existing homes.